Located in the heart of the CBD, there’s no shortage of places of interest near City Edge in Brisbane. From the magnificent State Library of Queensland to the culturally diverse Fortitude Valley/Chinatown district, there’s so much to see and do. Whether you want to shop up a storm at Queen Street Mall, Wintergarden, QueensPlaza, the Myer Centre Brisbane and Brisbane Arcade, take a stroll through the City Botanic Gardens, South Bank Parklands and Roma Street Parkland, or soak up the atmosphere at King George Square, Reddacliff Place and Eagle Street Pier, there truly is something for everyone in Brisbane’s city centre. Adults shouldn’t miss the Treasury Casino, while all members of the family can enjoy a ride on the stunning Brisbane Wheel. Meanwhile, those looking to marvel at architecture should pay a visit to the Cathedral of St Stephen or Storey Bridge, while sports fans should head to the Gabba Stadium or Suncorp Stadium to catch a match. 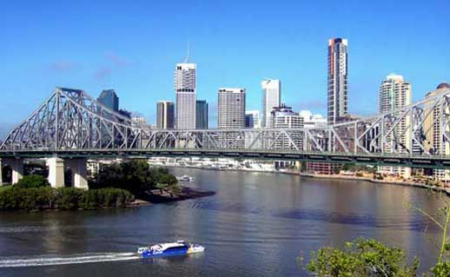 Other fantastic nearby attractions include the Museum of Brisbane, the Queensland Performing Arts Centre (QPAC), the Gallery of Modern Art (GOMA), Brisbane Convention & Exhibition Centre, Queensland Museum and Sciencentre, and the Brisbane Transit Centre (including Airtrain). City Edge in Brisbane is located conveniently close to a number of hospitals and medical centres. Brisbane Private Hospital is located one kilometre away and Montserrat Day Hospitals is just 600 metres away, while St Andrew’s War Memorial Hospital is a five minute drive. Other medical facilities in the area include the Queensland Health Building, the Brisbane Women’s Health Medical Centre, Value Hearing in Brisbane CBD, and the Turbot Street Medical Centre.